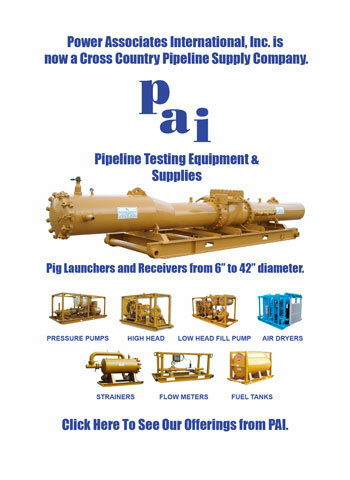 Cross Country Pipeline offers Hydrostatic Testers from Midwestern Manufacturing. These tough, reliable units are available as trailer or skid mount, at operating volumes of 350 ft. and 500 ft. of head pressure at 600 gpm. Contact our at 303-361-6797 for additional features and availability. 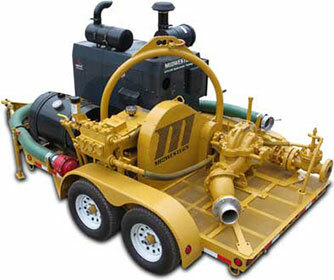 Trailer includes 20' suction hose and 6" valve, electric brakes, 3-point stabilizing jacks, and fully functional tail lights with turn signals and brake lights. Trailer unit salso have emergency breakaway kits with battery and safety chains.